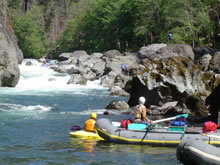 There are many river rafting activities offered by many travel companies. But you need to pick the right firms so that your safety is taken care of. Likewise, while trading in cryptocurrencies online, you should only pick the trading software’s that has good track record and has good reviews like bitcoin loophole. Rafting the Illinois River is an amazing experience. The river is best known for its amazing scenery, crystal clear water, outstanding rapids, and rain. 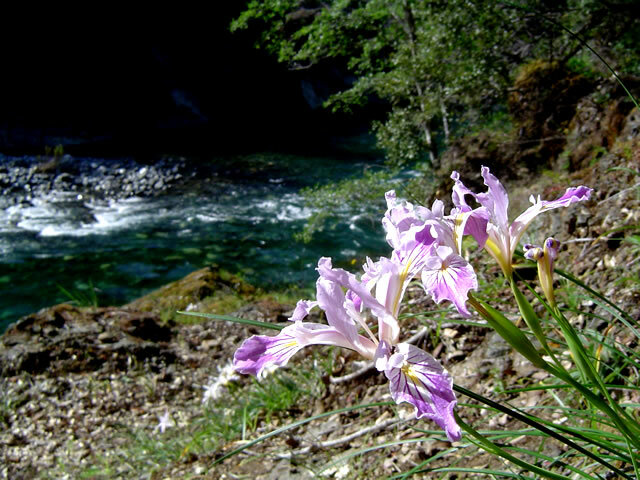 The Illinois River is similar to the Rogue River except that has better rapids, is more beautiful, and much less crowded. Many seasoned river guides consider the Illinois as their favorite river in the world. The Illinois River is not rafted as often as the Rogue since there is no dam upstream of put-in. The amount of water in the river is directly related to rain. If it rains too much the river can rise to an unsafe level (above 3000 cfs) within a couple of hours. The river can also drop below runnable levels after a few days without rain. This makes a trip challenging to organize since trips are often cancelled due to high water, low water, or potential bad weather. The extremely high quality of this river trip far outweighs the potential of a cancelled trip. A river permit is required to float the Illinois River and can be obtained free of charge in front of the Selma Market in Selma, Oregon. There is a self registration booth in front of the market that is open 24 hours a day. At this time, and unlimited number of private permits is available. There are only two commercial outfitters on the Illinois River and each is given one start per week. Most groups will put-in at the Miami bar campground. There are restrooms here, but no drinking water. The first few miles are fairly flat and several creeks add water to the river. Just below York Creek are the two Class IV drops York Creek Rapid and Clear Creek Rapid. A few miles below these rapids is the Class IV Pine Creek Rapid with the famous “Boat Eater” in the right channel. There is a wonderful campsite on a high bench just below Pine Creek Rapid. The next ten miles have many Class III rapids and good campsites. The best campsites are at Klondike Creek and Deadman Bar. This section of “scenic” river ends when you see a large pink boulder on the right which signals the beginning of the gorge. Just below the pink boulder is Red Rock Bar which would make an excellent campsite or lunch spot for a small group. The gorge below here contains one of the best sections of whitewater in the world. It begins with the Class IV rapid Preludewhich has a steep drop on the left side. Prelude is quickly followed by the Class V drop Green Wall which should be scouted on the left. A few rapids past Green Wall is Little Green Wall which has been know to give overconfident rafters quite a bit of trouble. There are several more miles of fun Class III and IV rapids below here including the famous Submarine Hole. This is an exciting Class IV rapid that has a reputation for flipping boats on either the right or left wall at the bottom. Be especially careful at Submarine Hole at low water. A mile below Submarine Hole, the rapids ease up and Collier Creek enters on the left and an amazing campground is just downstream. The last ten miles of the trip contain some great campgrounds and fun class III rapids. The scenery below Collier Creek is unmatched on any river. The river has a magical feel to it in this lower canyon. You can float all the way to the Rogue or skip some flatwater and take-out at Lower Oak Flat. Most groups hire a shuttle service and drive directly to put-in at Miami Bar. The shuttle drivers will meet you at put-in and drive your cars to take-out on a prescribed day. The Illinois shuttle can be quite complicated so this makes life much easier. The shuttle services in the area are quite affordable and professional. Historically, most rafters have used Galice Resort to run their shuttles. You can call them at (541)476-3818 to reserve a driver. Another option is to contact Sharon at Affordable Shuttles at (541)479-1042 or toll free at (866)HUGGINS. Sharon can also be reached through email at sharonl@affordableshuttles.com. To reach Miami Bar (put-in): Get yourself on Interstate 5 and head to Oregon. You’ll enter Oregon and drive through Ashland and Medford. In Grants Pass take Highway 199 west towards Crescent City. You’ll drive 23 miles to the town of Selma where you can register for your river permit in front of Selma Market. In Selma hang a right (north) onto Illinois River Road, which is also Forest Service Road 3504. Take this road about seven miles before veering left. The dirt road willl travel about nine more miles before descending down to the Illinois River at Miami Bar. To reach Lower Oak Flat (take-out): Most groups will pay a professional shuttle service to get there cars to take-out. If you’re too poor for this or bored, follow these directions. Since Bear Camp Road is usually covered in snow when the Illinois is running, most groups will take Highway 199 further west to the wonderful metropolis of Crescent City. In Crescent City take a right (north) on Highway 101 and drive fifty miles to Gold Beach. In Gold Beach, drive up the south side of the Rogue River for 34 miles until you cross the Illinois River. Just past the bridge you’ll hang a right on Road 450 which leads to Lower Oak Flat.